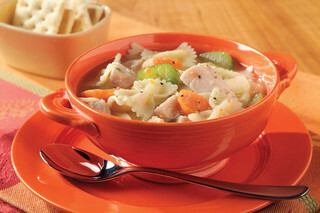 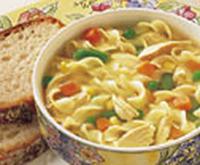 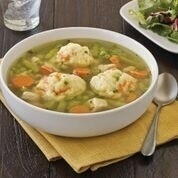 Chicken Noodle Soup made with Wyler’s Instant Bouillon. 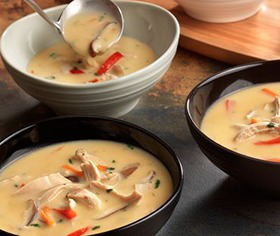 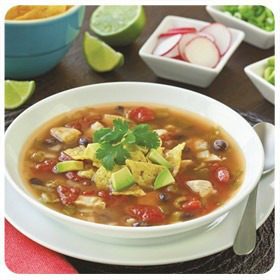 A rich, flavorful broth with black beans and tender turkey or chicken is served with fresh, crunchy and creamy toppings to create a satisfying one-bowl meal. 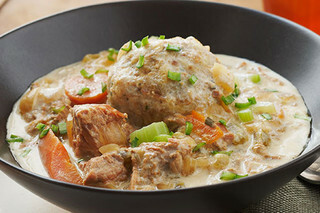 Serve the Chicken Stew recipe in Chinet bowls. 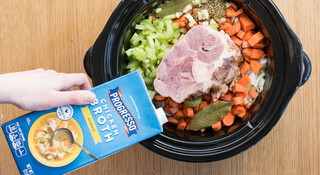 Looking for a quick dinner idea? 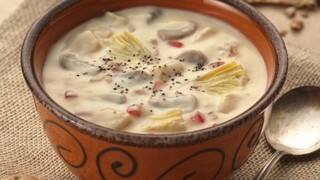 Two easy steps and 15 minutes is all that it takes to make this delicious clam and artichoke chowder recipe using Progresso® artichoke hearts, and sliced mushrooms. 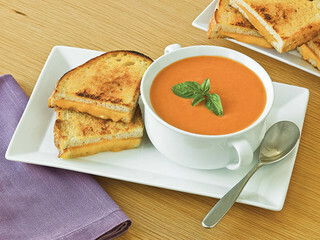 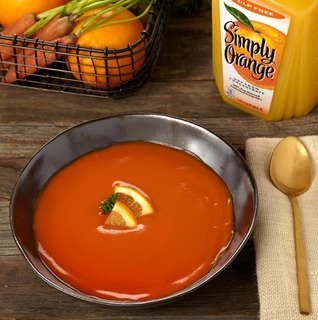 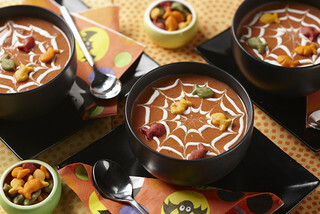 Blending the ingredients before they become hot soup makes cooking tomato soup from scratch in 20 minutes, even easier. 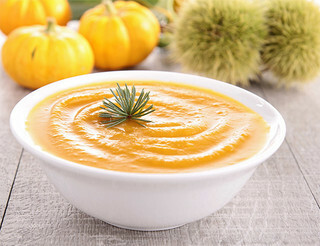 Great for those cool Fall days! 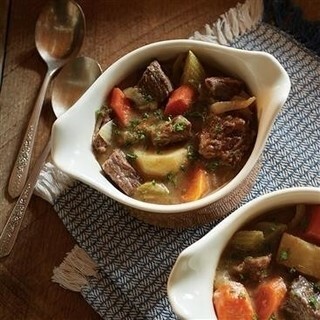 The reviews are in! 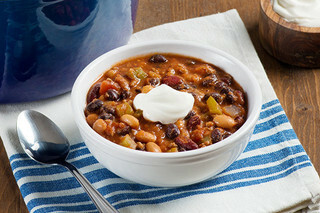 This beefy chili seems to be the go-to recipe for a lot of folks—and it's universally popular at potlucks! 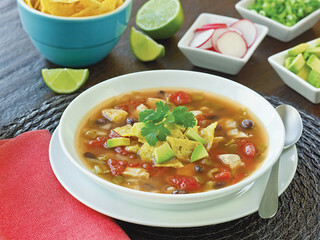 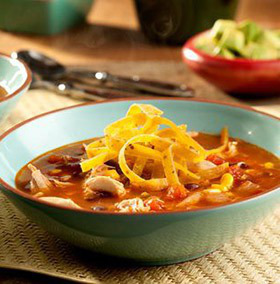 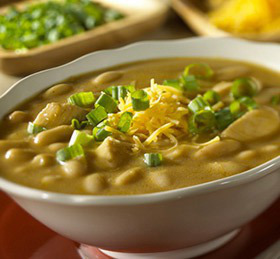 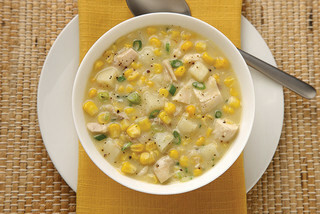 Discover an easy White Chicken Chili recipe. 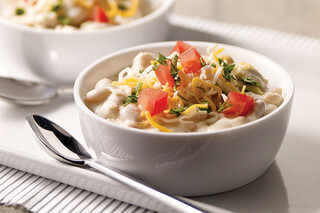 Bite-size chunks of chicken, white beans & four creamy cheeses give this quick and easy chili its name. 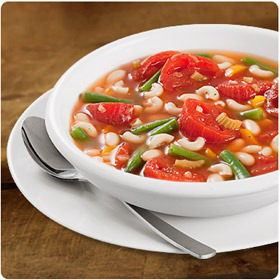 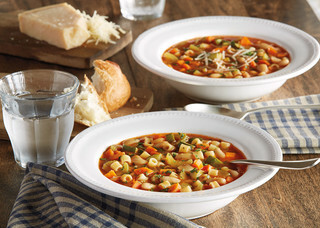 Minestrone is a hearty, traditional Italian soup typically made with beans, pasta and lots of vegetables. 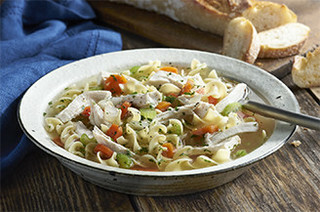 Enjoy the slow-cooked flavor in just about 30 minutes, for dinner or lunch with a sprinkling of shredded Parmesan cheese. 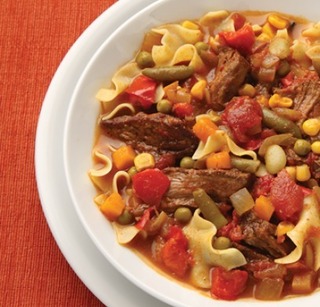 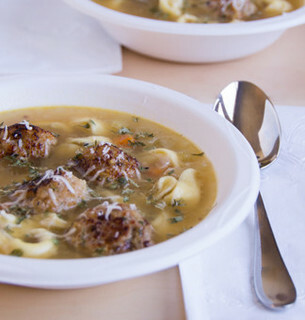 This hearty soup is good in the belly and good on the wallet. 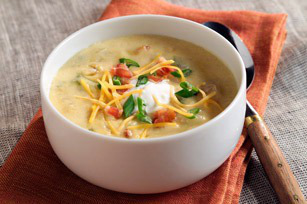 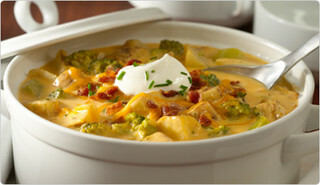 Potatoes softened in the slow cooker make the soup creamy and thick without a drop of dairy. 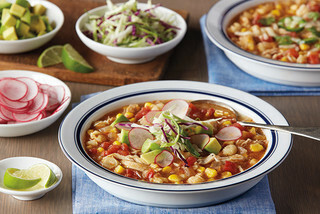 A restaurant-quality “bowl-style” meal is a 30-minute reality at home. 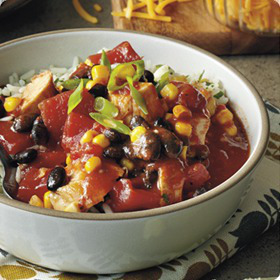 Colorful, zesty chili with chicken, corn and black beans is served over cilantro rice and finished with your choice of toppings. 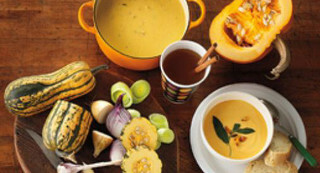 A deliciously warm meal for the fall! 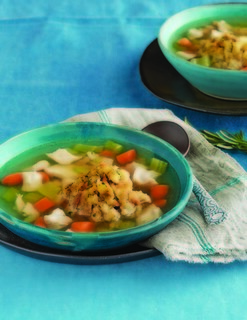 Make with STOVE TOP Stuffing Mix for Chicken.